Should We Read The James Grippando Books In Order? James Grippando is a popular American mystery and thriller writer, best known for his Jack Swyteck series. There are currently over 25 James Grippando books, with the first one written based on him being falsely arrested as a peeping Tom due to mistaken identity. Now, how many writers can say the same for their first published debut novel? Reading the James Grippando books in order of publication is not really important for his Jack Swyteck series, and even less so for his standalone novels, as they can be all read as standalone novels as well. The first book I’ve read by this author was When Darkness Falls, which is in fact book #6 in the Swyteck series. It did prompt me to go back to the first book and start reading them in order, starting with The Pardon. Here you will find both the Jack Swyteck series by James Grippando with his last novel published in 2018, A Death in Live Oak, as well as his standalone novels in order of publication. The books are listed in publication order with the reading order in brackets for each novel. Jack Swyteck is a Miami lawyer specializing in cases of inmates waiting on death row. He has never seen eye to eye with his dad, Harry, Florida’s current governor. The could never agree on anything, and things really escalate when Jack works with a client whom he believes is innocent and his father takes him to the electric chair. Two years later, the man who told Jack that he is the killer and the guy in prison should have been left free has surfaced and now is blackmailing Jack’s father for letting an innocent man die on the chair. At the same time, Jack is dealing with another case of a murderer whom he left out on a technicality but who was killed and now all signs point to Jack as being the killer. James Grippando’s debut novel is an action-packed legal thriller reminiscent of John Grisham’s earlier novels. After Jack being previously accused of murder, it happens again in Beyond Suspicion when his ex-girlfriend, a beautiful con artist is found dead in her bathtub after he had helped her get the insurance money when it was believed she was dying. Now Jack is framed for her murder and he is on the run both from the police and the guys who want their money back. That’s why it’s even more difficult than usual to not only solve the case but also prove his innocence while keeping himself alive. As a defense attorney, Jack Swyteck gets the strangest clients like his latest one, the former contract killer Tatum Knight. He is also the brother of Theo, who is Jack’s best friend. What the two brothers have in common: both have been on death row. Jack found the proof for Theo’s innocence but now he has to also try to help Tatum. The problem is, someone Tatum knew was killed and all fingers point to Tatum directly especially when the wealthy woman wanted to hire him to kill her. Tatum said he refused. So what is it now: did Tatum actually killed her or is he framed for a crime he didn’t commit? In Hear No Evil Jack gets the surprise of his life. The woman who wants to hire him to represent her for having killed her husband – a Guantanamo Bay officer no less – says that unless he takes her case, he will never see his own son that he didn’t even know he had and that is adopted by her. Although he didn’t want to take her case because he knows almost nothing of military low and because he feels she is holding out on him, he must take her case if he ever wants to meet his own flesh and blood. Mia is Jack’s new love interest. They seem to do fine except when she goes missing, he learns that she is married and that her husband got a ransom demand for her from a kidnapper who has been operating in the area for a while. And because the husband is aware that Jack and Mia had an affair, he decides to not pay the kidnappers for her return. The more Jack investigates, the more he learns that Mia is not the person he thought she was. And things only escalate from there on with getting the FBI involved as well. Falcon is homeless, in prison for threatening to commit suicide on the bridge, and he is asking for Jack’s help. Jack is not very eager to help but when Falcon finds $10,000 for his own bail and takes Jack’s best friend, Theo hostage after a dead body was found in the car Falcon was using as a home, Jack knows that to save Theo he has to do Falcon’s bidding. Especially since Falcon seems to be unhinged and harbor a bigger secret that initially thought. Now Jack has to work together with Vince Paulo, the hostage negotiator, and Alicia Mendoza, the mayor’s daughter to defuse a most volatile situation. This is very much Theo’s story. Back in the day, Jack Swyteck saved Theo from death row and the two became best friends. Now, someone dangerous knocked on Theo’s door, someone from his old days, who is asking him for help. But Theo can’t trust the guy as he is an escaped convict. Theo asks Jack for help once again, and the two must go back in time to some serious secrets that powerful people want to keep buried at all costs. After a life-long of heartache between Jack and his father, things seem to finally improve somewhat. When the vice president of the United States dies during an alligator hunting trip, the president asks Harry – Jack’s father – to become the new vice president. Harry asks Jack to represent him. But little do both know that the two probing into the things uncover a bigger conspiracy that touched the very vice president who died as well. And it could very well be that the VP didn’t die of natural causes. Could Jack’s father be next? When Vince Paulo held his best friend’s daughter in his arms as she was bleeding out, little did he know that his life would forever change. After she managed to utter her killer’s name, a blast not only killer her for good but also left Vince blind forever. In the present day, Jack is asked to save Jamal who is held in Guantanamo Bay on death row for terrorism and for killing the girl and leaving Vince blind. Jamal says he is no terrorist and he was actually held captive in Europe during that terrorist attack, and Jack tends to believe him. But then that poses another problem: if she is innocent, who is the one who killed the girl and left him blind? Because that means the terrorist is still out there free to do his own bidding. Sydney Bennett is on trial for having killed her two-year-old daughter. She is all over the news and the whole world is against her. So when Jack takes on her case, he knows he will have to work harder than ever before to save the mother. When she is found not guilty, the whole country is angered beyond belief. During the demonstrations, a woman who resembles Sydney ends up in a coma, everyone believes it was a tragic accident during the mob rioting. But the girl’s parents believe otherwise and hire Jack to find out the truth. Only three years passed after the Deepwater Horizon oil spill when a new spill caused additional oil to leak into the ocean due to a drilling explosion in Cuban waters where a man was killed on the rig. His wife asks Jack for help, and the more he digs, he more he comes across a conspiracy that might even involve undercover work Andi, his new wife, was doing for the FBI. Could it be that the new devastating oil spill was no accident at all? Jack Swyteck takes on a new case when an inmate on death row is just days away from being executed. He was locked up for the killing of Sashi Burgette who vanished but whose clothes were found in Dylan Reeves’s car. Dylan, an ex-con, was stopped for drunk driving and now he is waiting for his last rites. But much to Jack’s surprise, Dylan’s mom tells him that Sashi called her, which means she is not dead. If Dylan’s execution goes forward, he might just be an innocent man killed for something he didn’t commit. Based on a real case, Most Dangerous Place explores the dangers of a woman being sent to prison for killing her attacker who sexually abused her. When Keith Ingraham and his wife arrive to the airport for their daughter’s surgery, Jack is waiting for them. But he doesn’t get the chance to take them anywhere because Keith’s wife, Isabelle, is taken away by the police on suspicion of killing the man who once raped her back in college. Jack takes on the case to defend Isabelle, but his job is made more difficult when it is clear that Isa is not quite truthful in the story. Now Jack must split truth from fiction to find out what exactly happened back and how best he can help his new client. Jack takes on the case of Mark Towson who is accused of killing Jamal Cousin. One is the president of a black fraternity while the other the president of a white fraternity. Since the story is of a racial matter, it becomes quite heated all over the country. There is strong evidence against Mark but he seems to get the upper hand when Jack finds similarities to an older racial-infused case of a lynching in 1944. The more Jack investigates the strong his suspicion that Mark himself might be a target of someone extremely deadly. James Grippando never shies away from controversial and politically charged cases, and Julia Rodriguez and her teenage daughter Beatriz is the living proof of this. Undocumented immigrants and the immigration debate are all the topic in the US today, and Jack Swyteck finds himself in the middle of such a case. Julia Rodriguez and her teenage daughter Beatriz escaped from El Salvador where certain death awaits them if they return. When Julia’s daughter has to fend off her boss’s sexual advances, the boss turns her to the immigration officers who take her into custody to be deported back home. Jack takes on her case and tries to get her political asylum which in Trump’s times is nearly an impossibility for non-white immigrants. Can Jack save the girl’s life before she gets deported to facecertain death? Honestly, I haven’t read all the author’s standalone novels, however, I’ve read the James Grippando Jack Swyteck series, so I can mostly speak for his thriller series. I did start it with book 6 and while I’m pretty obsessive about reading the books in chronological order, I didn’t quite feel the need to do that here. Of course for character development and continuity, it’s a good thing, but not an absolute must. The author’s 12th Jack Swyteck novel, Gone Again, is a legal mystery in which Jack goes back to his roots. He goes to work at the Freedom Institute for just a little bit to help them financially. While there, he agrees to take on a case of an inmate on the death row for killing a girl. The strange thing is, the girl’s mother doesn’t believe the inmate did it and she enlists his help to find out what exactly happened, especially when she claims that her dead daughter called her. Jack is a man of strong morals and principles. He also strongly believes in the justice system and in freeing the innocent. Most Dangerous Place is the 13th Jack Swyteck book by James Grippando, published in 2017. The action starts right from the start. Jack and his wife drive to the airport to meet their friend Keith and his wife Isa. As soon as the plane landed, Isa is arrested in handcuffs on charges of conspiracy to murder a guy who raped her many years ago in college. Of course, Jack offers to become Isa’s lawyer to defend her. The story is just as gripping as the previous legal mystery books in the series, and the characters are, as usual, strong, smart and witty. All Jack Swyteck books are written without any excessive foul language or explicit scenes. They are what we call “clean books”, so really, anyone can pick them up without worrying. Reading the James Grippando books, however, also include his standalone novels. Some of them are legal mysteries and thrillers, like Cane and Abe, while others are straight-up thrillers (Intent to Kill, The Informant and Need You Now) and even time travel stories (Leapholes). Regardless of the sub-genre, all the novels by James Grippando are equally thrilling and edge-of-your-seat suspense stories. Born in 1958 in Waukegan, Illinois, James Grippando grew up in Illinois in the rural area. He started college at the University of Illinois, however from his second year he transferred to the University of Florida in Gainesville when his family moved to Florida. Once he graduated from law school, his first job was to serve as law clerk to the Honorable Thomas A. Clark, United States Court of Appeals for the Eleventh Circuit in Atlanta. Later James Grippando became a trial lawyer, and during this time he worked on many death penalty cases, knowledge and experience which helped me write his first book, The Pardon, which would become the first Jack Swyteck novel. He also wrote several scholarly articles about the law, and it was during this time that he changed gears and started to write fiction. In fact, his many years experience working under the umbrella of the law helped James Grippando craft the Jack Swyteck series, books which all deal with the law one way or another, and most of which take part in Florida, Miami, the very area where he lives and spends his time writing his next novel. 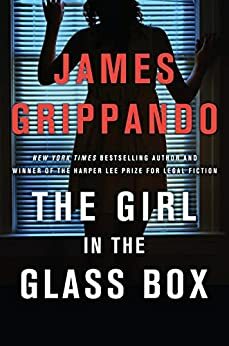 Except for his mystery series and his stand-alone novels (including his one book for the YA audience), James Grippando has also written non-fiction articles and essays for Mystery Scene Magazine, Miami Herald, and Goodreading, among others. He also wrote various scholarly articles related to his job as a lawyer. My eye doctor referred James Grippando’s novels to me when he saw me reading my Kindle. He had just purchased Mr. G’s latest novel and thought I might enjoy his books. I printed out a list of all of the books Mr. G. had written – in order. Then I started purchasing and reading…..first Swyteck’s then the others. One of the great writers in my eyes! He’s ahead of Patterson (1st books great, now, not so much); Lee Child’s Jack Reacher’s novels (awesome books) and Kellerman. I have read all of both Mr. and Mrs. Kellermans’ books (also in order on the Kindle, before that, missing some, in paperback) and I continue to read each as they write their books. I think it’s time for another Swyteck novel! I love it when books contain many of the same characters as you start to feel like you “know” them personally. I’m thinking of starting at the beginning and re-reading the Swyteck novels. I did that with Patterson’s Alex Cross series (the only one’s of Patterson’s I read). Keep it up Mr. G. and I’ll keep buying! You might like Patterson’s Women’s Murder Club series. Same characters in each book. After discovering them, I read the Jack Swyteck books in order.It helps keep the love interests in order, etc. I like his characters very much. I also like Michaeal Conelly’s Harry Bosch series, which I think is the best out there. Also, Sue Grafton’s Kinsey Millhone series. Also read James Lee Burke, both his Dave Robicheaux and Hollande series. You won’t find better writers than him.